Serving the Idaho communities of Cottonwood, Craigmont, Grangeville, Lewiston, Lapwai, Kamiah, Kendrick, Juliaetta, Orofino, Pierce, Winchester, and most of North Central Idaho. Additionally serving the Washington communities of Anatone, Asotin, Clarkston, and Pomeroy. The Windermere All Star Realty Team helps buyers and sellers in The Lewis-Clark Valley. From first time home buyers to experienced investors, our all-star team is able to help buyers and sellers in the Lewis-Clark Valley make informed real estate decisions. We at Windermere All Star Realty are dedicated to helping every home buyer and seller achieve their real estate goals. Our experienced agents are not only able to help buyers choose the "right" property, but are also able to help with every other aspect of the home buying process. Our team is able to help home buyers easily understand and navigate the entire process. Financing, understanding mortgage rates, making an offer, negotiating, and moving, our team can help with all of this and more. Home owners who are considering the sale of their home in The Valley will benefit from the dedication of our all-star group of professionals. Our agents help sellers in all aspects of the home selling process. From pricing and preparing your home to negotiating the sale, our agents are there every step of the way. Our expertise and knowledge of the local real estate market will work to the advantage of every home seller and prove invaluable in selling any home quickly for the best possible price. 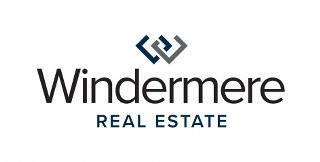 Windermere All Star Realty specializes in a diverse array of properties. Our team is proud that our listings are able to meet the needs of a multitude of lifestyles. Our Brokerage serves properties both in urban and rural areas. Among our properties one will find farms, ranches, hunting and horse properties. We also display commercial and investment properties, as well as lots and land. We serve The Lewis-Clark Valley, a prime recreational area, and offer a number of properties for year-round or seasonal use. Both the young and old are able to enjoy the recreation afforded within the fantastic Valley region. With a number of retirement facilities in the area, and properties offered over a wide range of prices, every home buyer can benefit from the wonderful quality of life offered by The Lewis-Clark Valley. If you want to buy or sell real estate in The Valley, call us. We care deeply about this community. As local professionals, you may see us around town because we are a part of the community. As locals, we have a vested interest in seeing The Valley thrive. As real estate agents, we take our commitment seriously. You see, with us, it's not business, it's personal. Contact The Windermere All Star Realty Team today, and discover how we can help make your real estate dreams a reality.